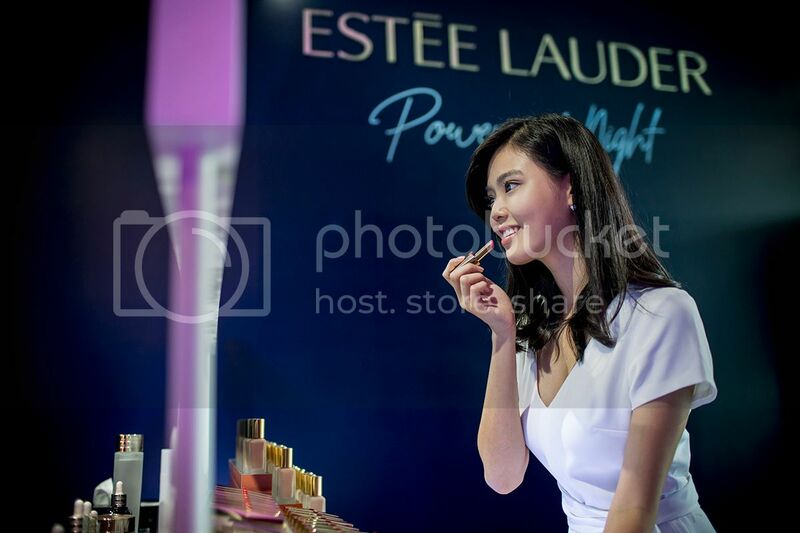 Estée Lauder held their Power of Night Pop-Up at the Visual Arts Centre over the past 3 days and it was met with great enthusiasm from trade, media and celebrity friends. 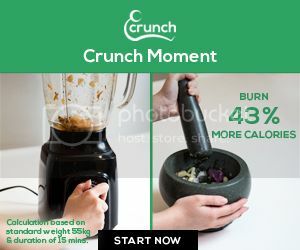 The fantastic turnout also included some of our celebrity friends like Desmond Tan, Julie Tan, Kimberly Chia, Huang Biren, Hayley Woo, Joanne Peh, Nurul Aini, and Oon Shu An who brought their star presence to the event as well. Guests were warmly greeted by hosts in satin loungewear, creating the cosy atmosphere of being in the comfort of their own home as they embarked on their Power of Night beauty sleep journey. Guests were also given a walk-through from the Living Room to the Bedroom, where everyone got to pick up beauty tips, and how Estée Lauder's patented Chronolux CBTM Technology in the iconic Advanced Night Repair works with the body’s natural circadian rhythm to boost skin repair and renewal functions for a radiant complexion when you wake up. 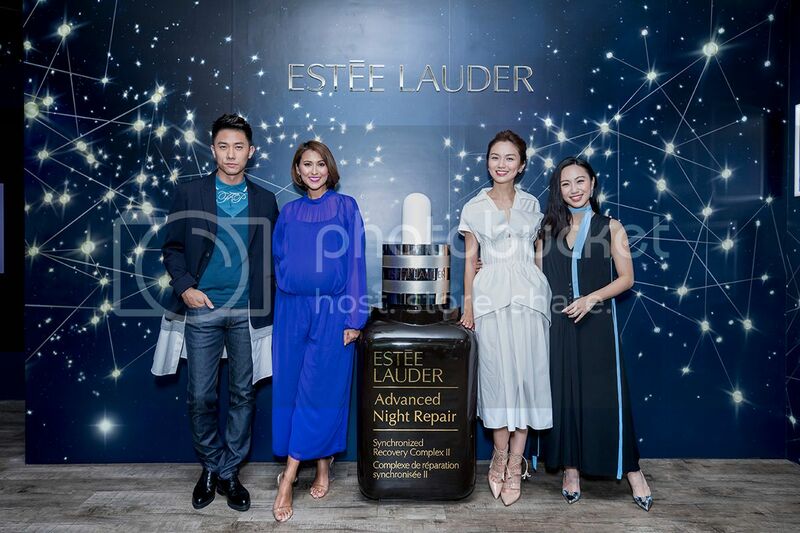 The picturesque Bedroom allowed guests to explore different ways of using Singapore’s number 1 serum together with Estée Lauder Power Of Night film series muses Joanne Peh, Nurul Aini and Oon Shu An through their skincare journeys. Six of these different ways — Shower Seal with ANR, After Sun Hydration, Pick-Me-Up, Glow Like A Star, Renewal Sandwich and Jet-Set & Go — were showcased through Instagrammable stations that featured a bathtub to lounge in, steps to pose on and even a standing bed to curl up in. Estée Lauder Pro Artists assisted the guests in customising their bedtime skincare renewal routines and create personalised makeup looks using the best- selling Double Wear Stay-In-Place Makeup as well as the new Pure Color Desire lipstick collection. With picture-perfect moments at every corner, guests are encouraged to join the Estée Lauder #PowerofNightSG Instagram contest where three of the most creative posts will walk away with a $500 Beauty Prize consisting of various skincare, makeup as well as a full-sized bottle of Advanced Night Repair. It was definitely a fun yet informative event for all and we are hoping that there will be a next one in the near future! 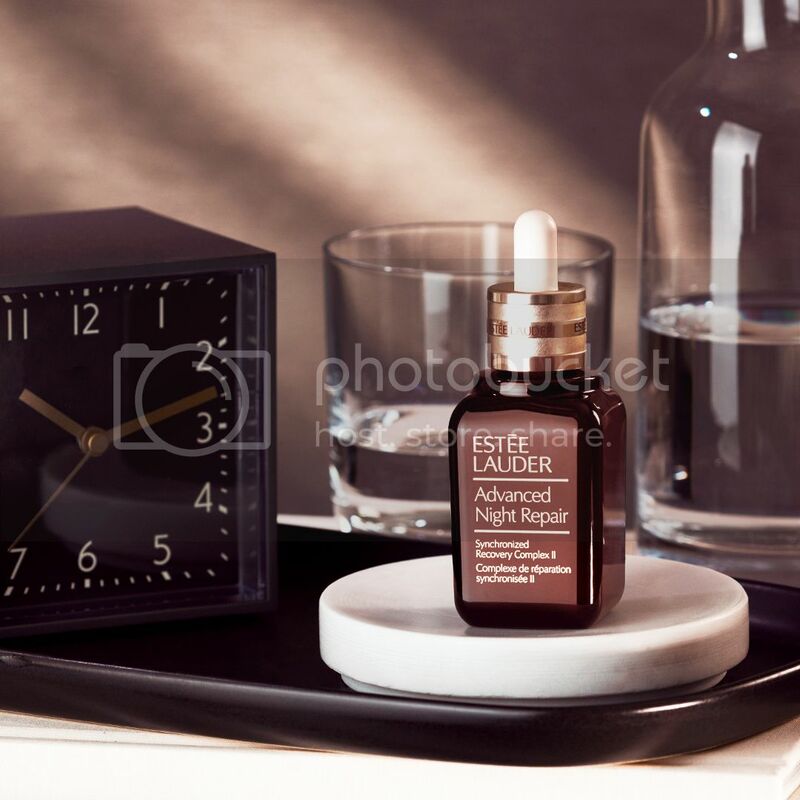 Advanced Night Repair significantly reduces the look of key signs of aging and maximizes the power of skin's natural nighttime renewal with Estée Lauder's exclusive Chronolux CBTM Technology. Hyaluronic Acid also helps to lock in moisture to ensure that our skin is plump and hydrated. Over time, lines and wrinkles are reduced, and you can expect to see healthier, fresher, and more rested skin in 4 weeks. Available at all Estée Lauder retail counters.